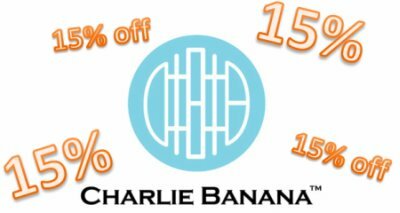 With summer raging on we decided to unleash a big sale for one of our favorite diapers: Charlie Banana. Not only are the diapers on sale but also the liners and the disposable inserts! Is your baby getting close to potty training? Check out their training pants too! That's not all, some really cool things are happening at the store once we hit 1,000 members on our Facebook page. Not only will we release three STORE WIDE codes, but also turn on some really great sales that you can use WITH the codes! Share with your friends and link it to us and you could win a swag bag filled with amazing goodies like a wet bag and matching diaper, leg warmers, Rockin Green sample, organic onesie and much more! Tell us what are some things you'd love to see on sale?